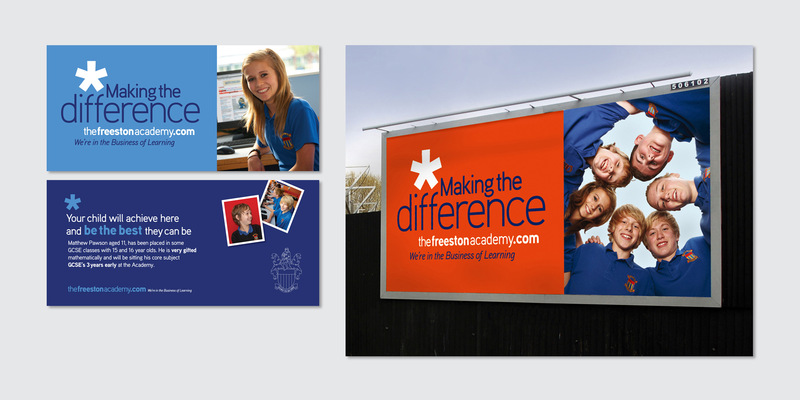 In an effort to raise awareness of their new standing, Freeston asked us to create a campaign that would inform the local community of their Academy status. After working closely with their senior management, we arrived at a concept that highlighted key core values and achievements of the school, the staff and its pupils. 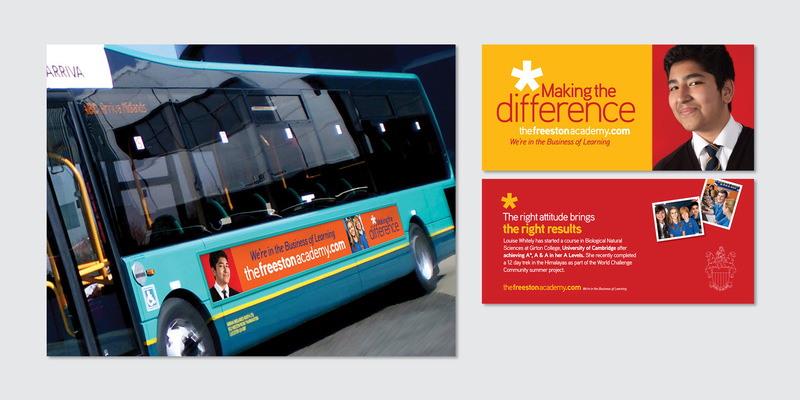 We delivered a fresh, informative and distinctive campaign that was aspirational to both staff and pupils as well as parents wishing to place their children in the best possible environment for their future education.